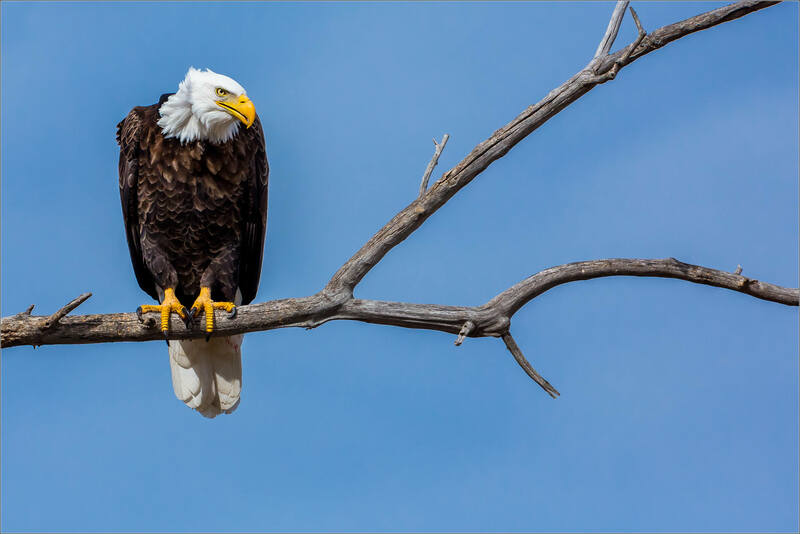 At one point when I was watching the group of Bald eagles I found east of the Crowsnest Pass last weekend, one of the adults landed in a tree close to where I was set up. Looking closely, I saw that he had a Prairie dog in one of its claws. 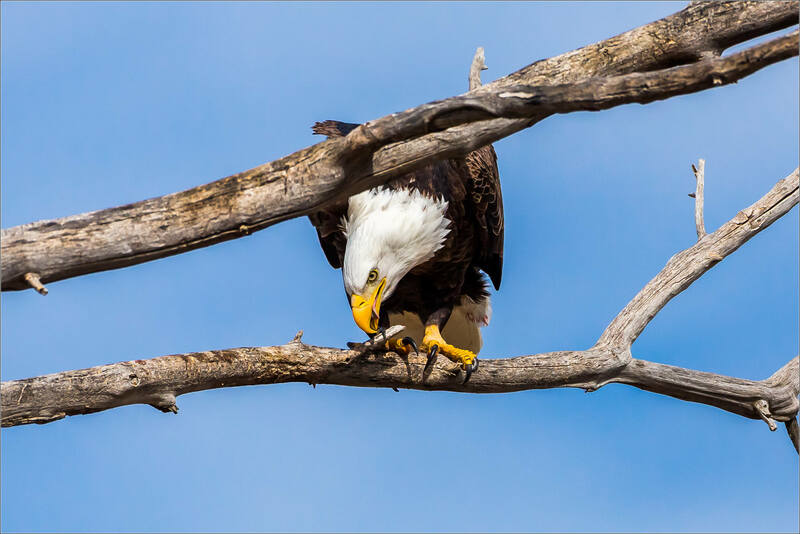 He finished the meal quickly and then set about cleaning its beak and talons. He used the stubs on the branch to rub against and as leverage during the cleaning. I was fascinated with the fastidiousness with which he carried out this work. When that was done, he provided a few great poses for portrait shots while scanning the fields for more creatures and the skies for his fellow eagles. 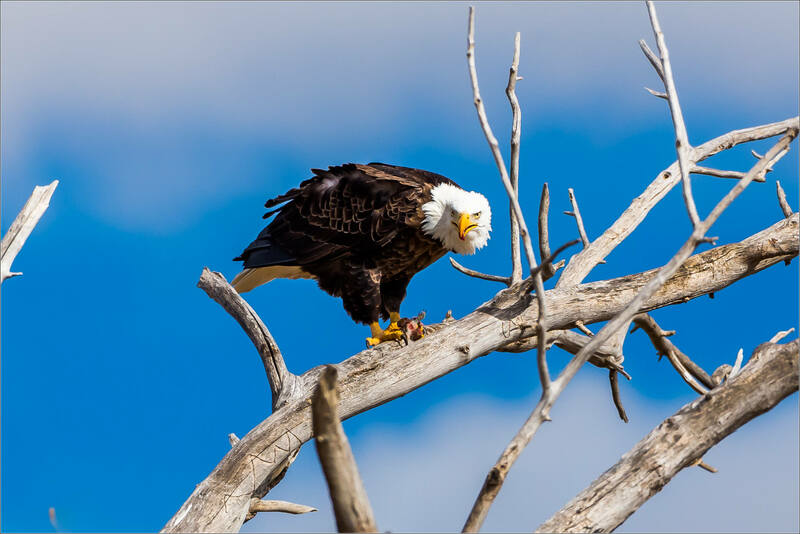 After a few minutes, he flew off to a larger tree nearby where the other three eagles were perched. This entry was posted on March 16, 2016 by Christopher Martin. 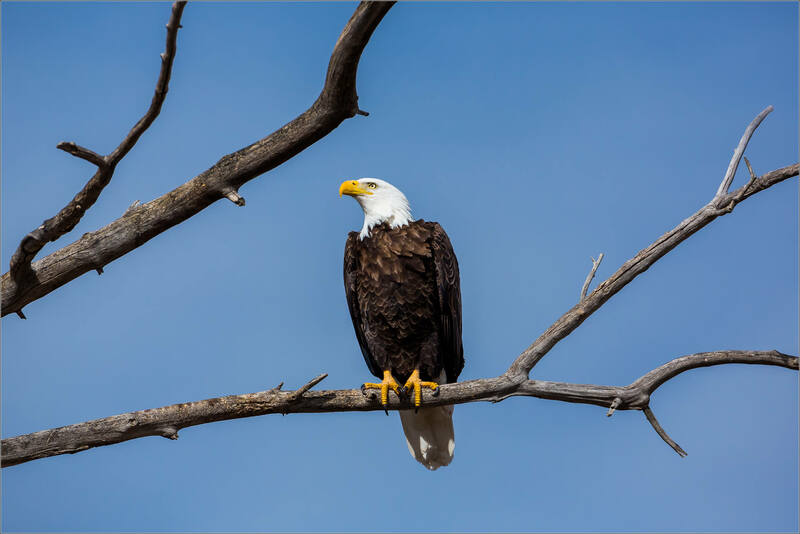 It was filed under Alberta, Animals, Eagles, Wildlife and was tagged with alberta, animals, bald eagle, bird, Canada, Haliaeetus leucocephalus, wildlife photography. Patience is its own reward …. and in a wildlife photographer’s life, it pays its own dividends. Amazing series here – and clearly, one who was so willing to show off for the camera – always the hidden delights and treasures, which is part of the mystery of shooting …. busy checking details and waiting for the precise (one hopes) moment to trigger the shutter …. spellbinding! Wonderfully written – thank you! Absolutely stunning shots! Thank you. What amazing photos, he is such a handsome striking fellow. Spectacular, thanks for sharing. 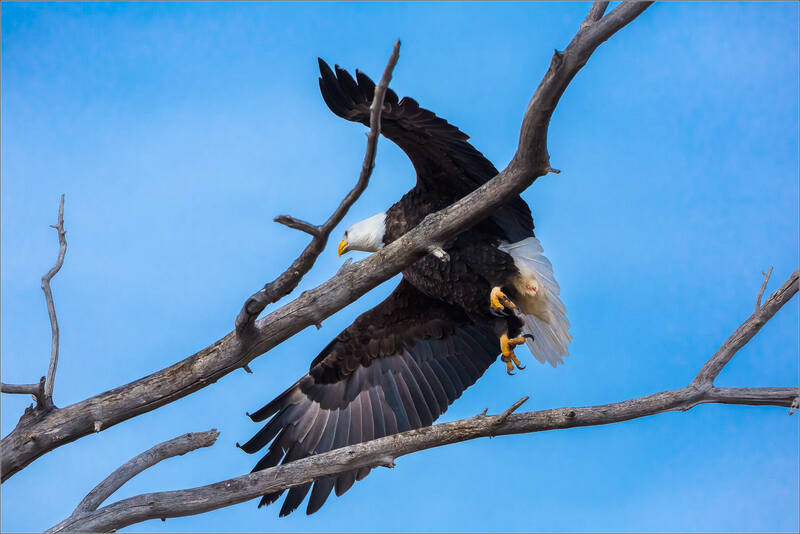 Oh Christopher are very beautiful images of wonderfull eagles’ fly, thank you so much for posting them! Ha! He knew where to pose in order to get good coverage on your blog! You’re right Lyle – I didn’t even realize I was being used! These are just spectacular photos. Thank you for sharing them.